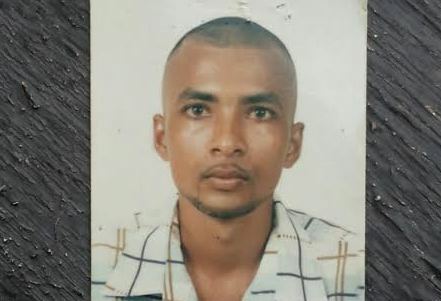 Investigations are being conducted into the murder of Ramkarran Mohanlall, 33 years, of Annandale South, East Coast Demerara, which occurred at about 23:05 hrs Wednesday night at Annandale. Police said its investigations, so far, have revealed that Mohanlall was involved in an argument with another man “during which he was stabbed about his body”. The Police said he was pronounced dead on arrival at the Georgetown Public Hospital. The suspect has not been arrested up to noon today. Young man shot at Rose Hall – battling for life at GPHC. Annandale man stabbed to death..
Guyanese have nothing to fear since our cack eye security minister got yall backs covered.. Here we go again, another Murder just as Granger and Ramjattan indicated that crime is under control….Ramjattan coc-eye na see far….even Rohee is better than him as a Security minister…sad to say this but it is true…data and facts are proving. The government need to stop lying to the public that crime is under control, The police need to be more pro-active to prevent these incidents rather than re-active…no one care about solving a crime AFTER it has occurred because the dead man life is gone and cannot come back….what people want to see is crime being PREVENTED from happening…something the APNU has failed @ miserably…..Too much lies and the public looses faith in the government….Just like Moses lied about 12B poured into the Sugar Industry when last week Jordan the dunce announce 9B….Why all the fake and LIES? Your Vile Racist PNC TERROR RANT is useless. You should be ASHAMED of the LOOTING of the Guyana Treasury by the PNC TERROR Regime!